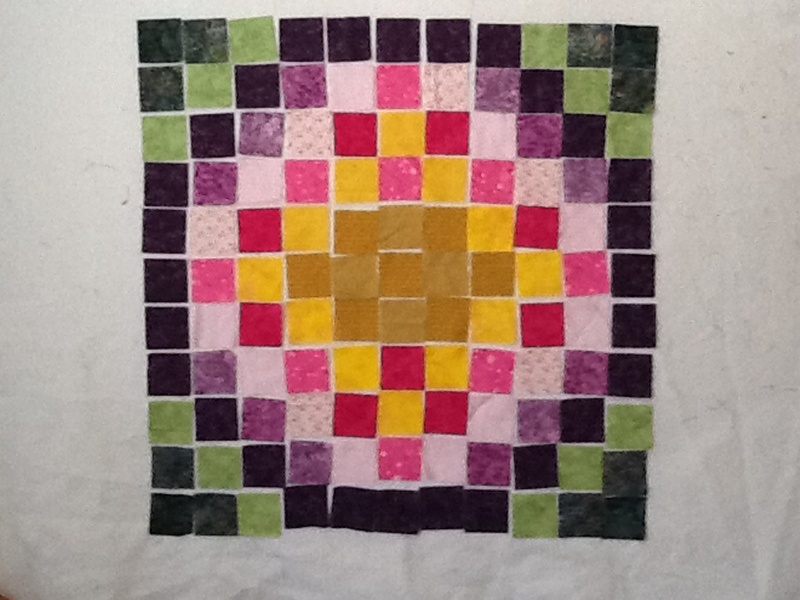 I enjoy finding new blogs with quilty inspiration on Bloglovin. A few weeks ago I found Fabric Mutt, and she is hosting the Graph Paper QAL. Simple concept – create a design with squares. 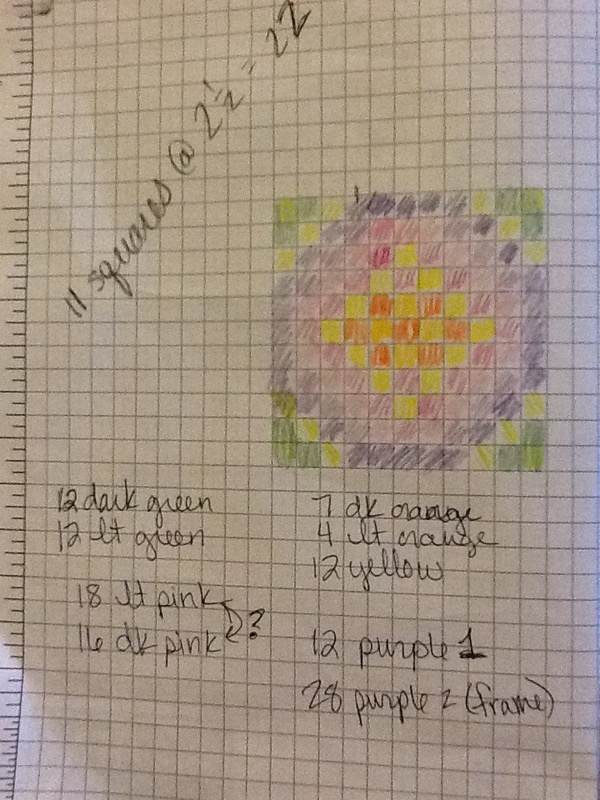 I grabbed my graph paper and colored pencils and went to work. It’s a variation on a Trip Around the World. I wanted something vaguely floral, like a big chrysanthemum. 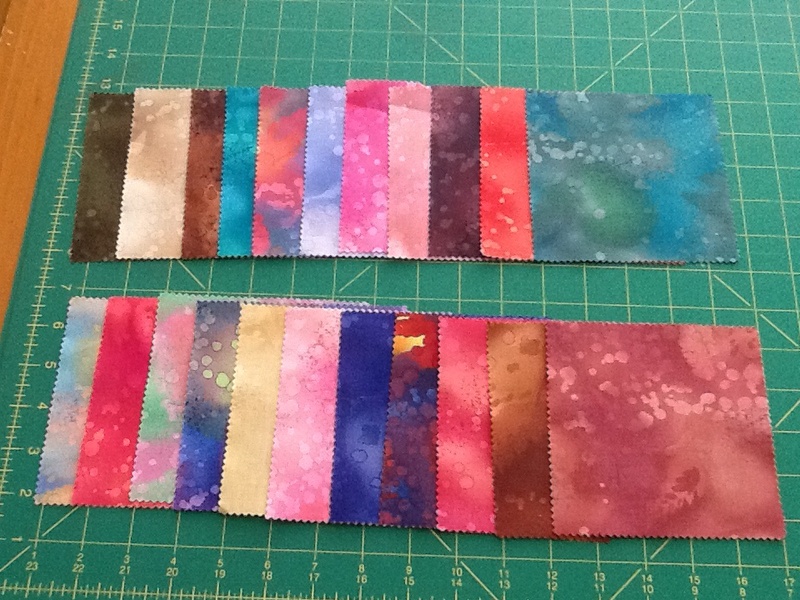 Next was a dig through my bin of 2.5″ strips, then on to the design wall. 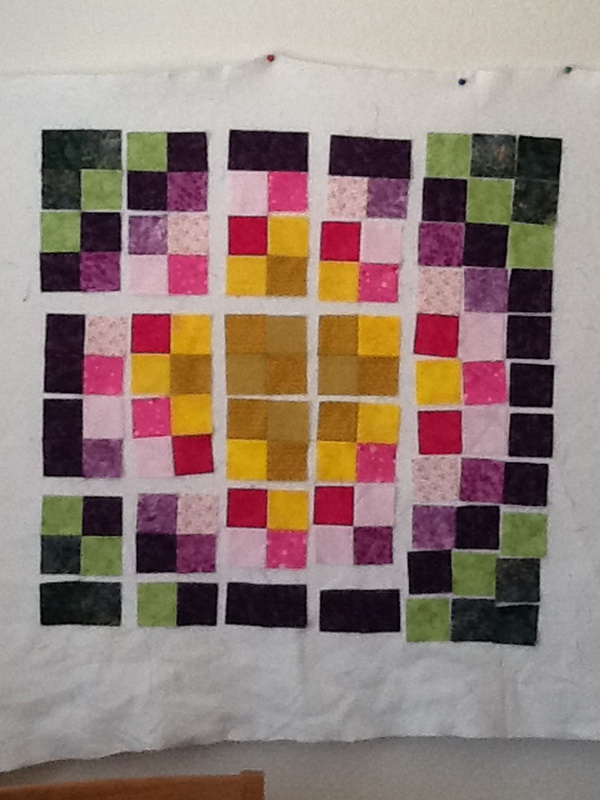 I decided to swap out one of the pink squares for orange before I started sewing. 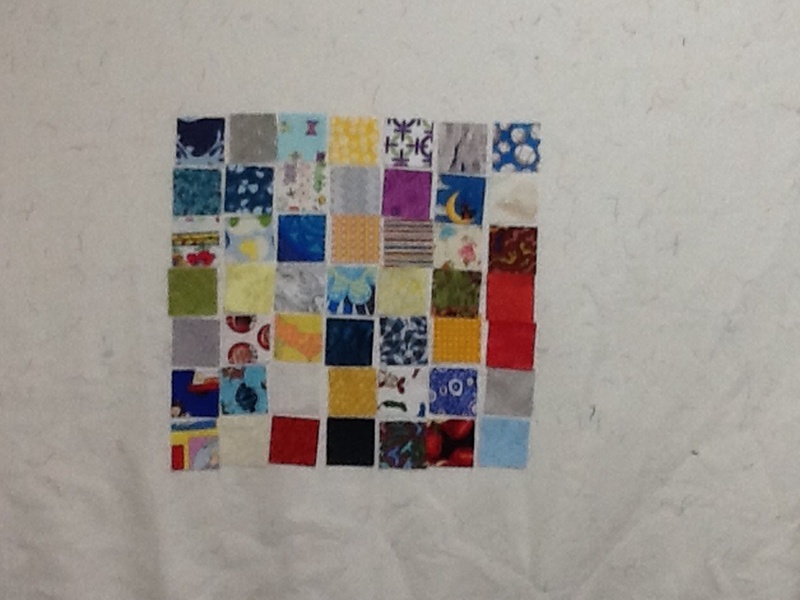 For this type of quilt, I use the twosy-foursy piecing method that I learned from Jackie Robinson. 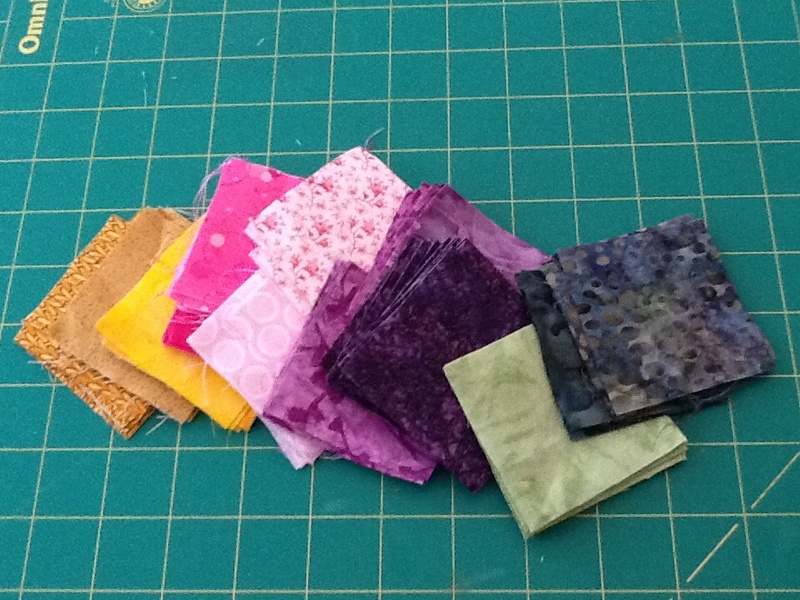 First, sew your squares in pairs, then in four patches, continuing until you only have a few long seams. I also press my seams open with this method so I don’t have to keep track of which side is going to nest. At this point, everything is finger-pressed. I’ll set everything with an iron when it is all together. I thought I was done, but I got one section rotated the wrong way so I have an appointment with Mr. Seam Ripper after dinner!